Last week, we cooked a steakhouse date night meal that’s perfect for Valentine’s Day, but what about all the single ladies? This week, I thought it’d be cool to round up some of my favorite party foods that are easy to make and even more fun to chow down on. These recipes would be perfect to cook and enjoy with a few of your best girl friends – complete with a bottle of wine, a cheesy rom-com, and some heavy girl talk, of course! Alternatively, these recipes all feed a lot of people, so they’d be perfect for any sort of potluck or party-type situation you might have to attend in the future. 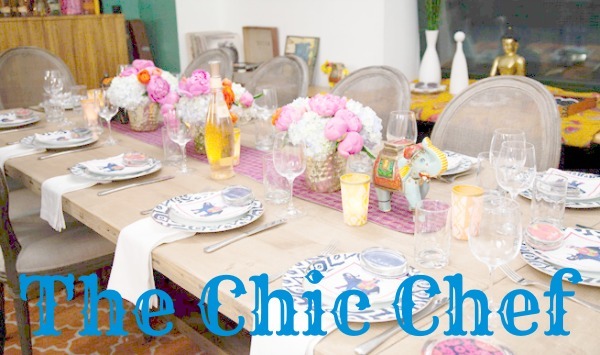 They’re all easy, inexpensive, and crowd-pleasures – pretty much the perfect recipe (wakka wakka!) for a group. This light, fresh-tasting pasta is fun spin on your typical pasta salad. I’m not a big fan of mayo, so if you’re like me, this is a great alternative to try. It’s perfect for packing on picnics or you can put it in Tupperware for an easy to-go lunch. The flavors get better after it sits a day or two in the fridge, so make extra and eat it throughout the week. You can even pump it up by adding diced chicken, lemon zest, or fresh basil leaves. For this dish, the pasta shape isn’t super important – just use something bite-sized that’s either ridged or curved. That way, it will hold some of the sauce. Penne, fusilli, bow tie, wavy egg noodles, or any bite-sized pasta you have in your pantry will work. Put a big pot o’ water on high, wait for it to boil, and cook the pasta ’til it’s al dente (done but still firm), which is usually the shortest amount of suggested time listed on the instructions. You want the noodles to still have a bit of a bite to them! 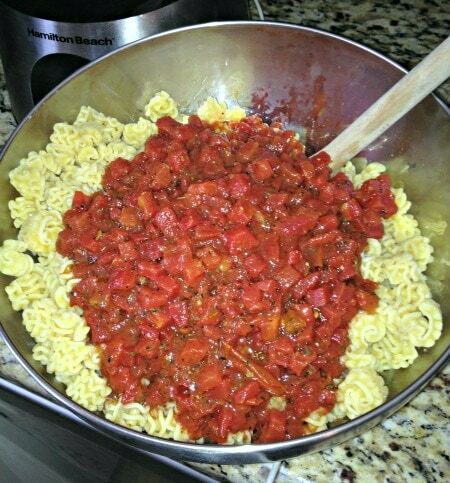 While the noodles are cooking, empty the two cans of Italian diced tomatoes, juice and all, into a big mixing bowl. Add the olive oil, then squeeze both halves of a lemon into the bowl. Be careful to catch the seeds before they fall into the bowl! Add several dashes of salt and pepper, as well as the the dried basil. Mix well. When the pasta is done cooking, drain the noodles and put them into a large serving bowl. 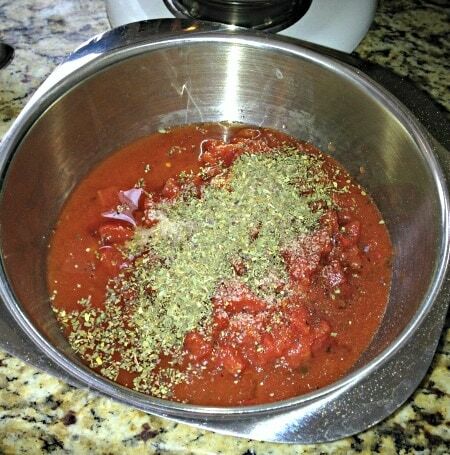 Pour in the tomato mixture and toss well. Cover with plastic wrap, and let it sit in the refrigerator for at least 20 minutes. Right before you serve, add the mozzarella and toss like crazy. Taste to see if it needs more salt or pepper, then toss again. 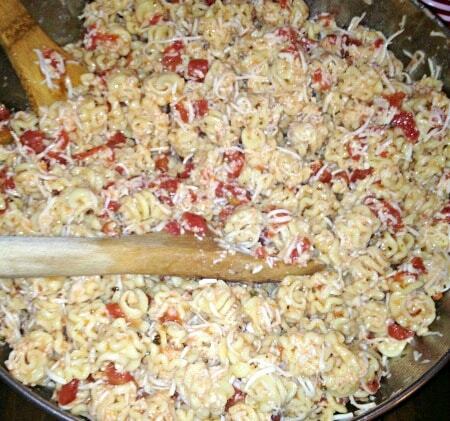 This pasta is addicting, and one of my favorite things to make for big groups of people! Like I mentioned before, it keeps really well in the fridge, so save the leftovers for later in the week. The pasta will absorb some of the tomato sauce as it sits, yet still taste fresh and tangy. It’s a treat! Pigs in a Blanket are a tailgate and party staple, but amp yours up with the ingredients from another crowd favorite – jalapeno poppers! An hour or so before you begin cooking, set a block of cream cheese out on your kitchen counter to soften. Right before you start, preheat the oven at 375 degrees Fahrenheit. Cut the stems off of each jalapeño, then cut each one in half longways. Use a spoon to scrape out the seeds and white membrane. If you don’t have a food processor, very finely chop all of the jalapeño pieces. 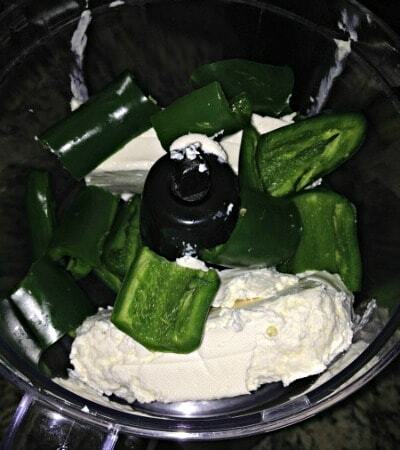 If you do have a food processor, cut each jalapeño piece into halves or thirds. 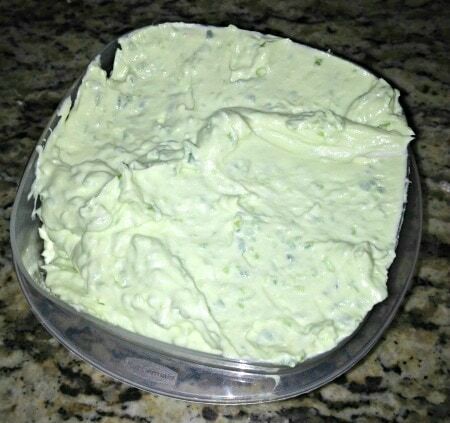 Add the cream cheese to the food processor and blend until smooth, or mix the finely chopped jalapeño pieces and softened cream cheese together in a mixing bowl with a fork. This jalapeño cream cheese on its own is freakin’ delicious. The cream cheese balances out the spicy element perfectly, so you can taste the freshness and flavor of the jalapeño without singeing your tongue off. 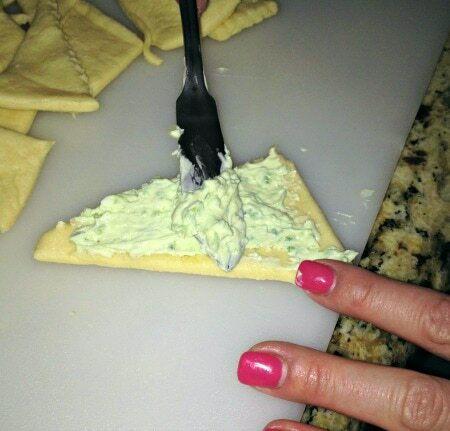 Smear it on a bagel, or use it as a dip with crackers or veggies. 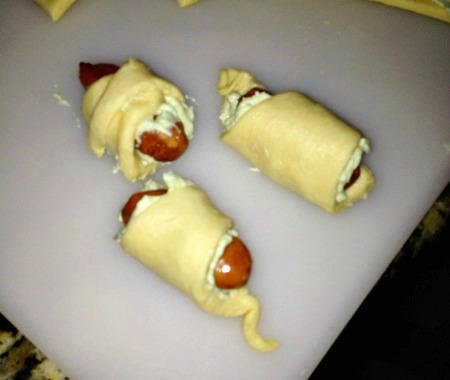 Place a lil’ smoky on each triangle and roll up, forming the pig in a blanket. Once you’re done, lay them out on baking sheet (lined with foil for easy clean up). Let ’em cook for 16-18 minutes. The tops should be golden brown, and the dough should be flaky and set. 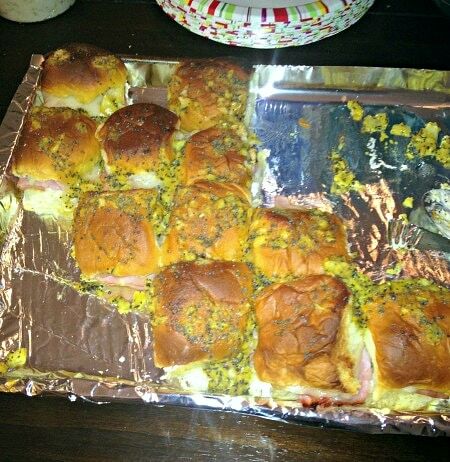 These ham and cheese sliders might sound plain, but they taste tangy, sweet, and altogether awesome. They’re quite the crowd-pleaser, so don’t be afraid to double the recipe if you’re bringing them to a potluck dinner or a party. 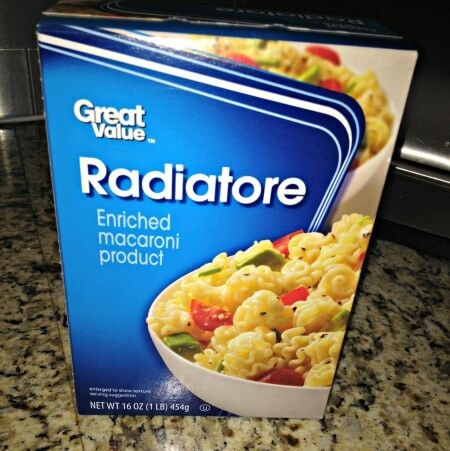 Also – these babies freeze and reheat well. Store some in the freezer after baking and heat in the microwave for an indulgent snack! 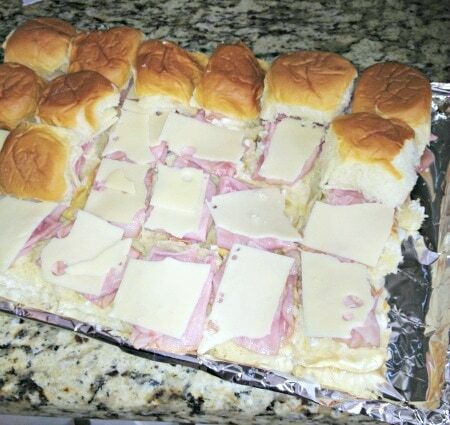 Cover a large baking sheet with foil for easy clean up, and begin assembling the sandwiches right on top. Start by carefully tearing each roll in half, and laying the bottoms right up next to each other. Smear each bottom piece of bread with a dab of mayonnaise or Vegenaise. 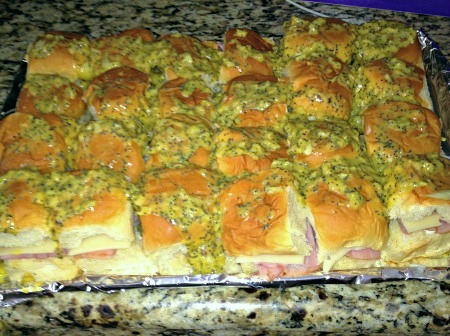 Fold each slice of sandwich ham into quarters, and lay one on top of each slice of bread. Break the Swiss cheese into 4 pieces, and load those up on top. Top each slider with the top of a roll. Next, we’ll make the very naughty (a.k.a. very delicious) sauce that makes the sliders great. 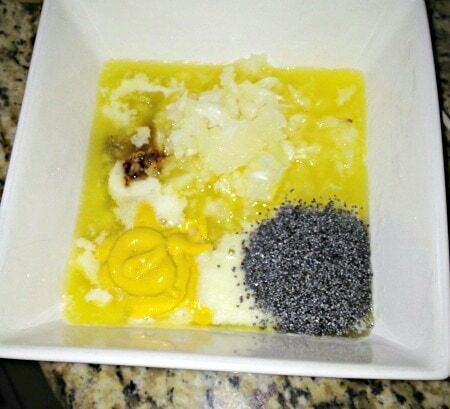 Melt a stick of butter in a bowl, and toss in the minced onion. 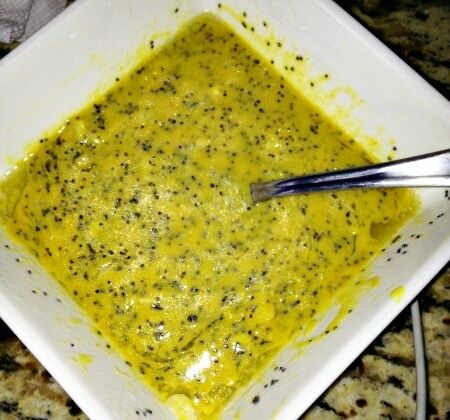 Add the poppy seeds, mustard, and Worcestershire. Use a whisk to combined this mixture up. Whisk, whisk, WHISK I say! We’re going to take this sauce and pour it directly on top of all the sandwiches. This is so that the bun absorbs the sauce during the baking process, while the butter in the sauce helps the top of each slider get brown, crisp, and delicious. Don’t worry – the sauce will set while it bakes, so holding the sandwiches won’t be super messy for your guests. So go ahead and pour that sauce right on top of your sandwiches, making sure that each slider is accounted for. Let them sit for 5-10 minutes so the sauce can soak into the bread. Bake for 16-18 minutes. Then lay them on your table, and watch them disappear before you can even get a picture of your finished product. The sliders will be crisp on the outside, and gooey in the middle. A rich, indulgent, and delicious treat that crowds of all ages will love. 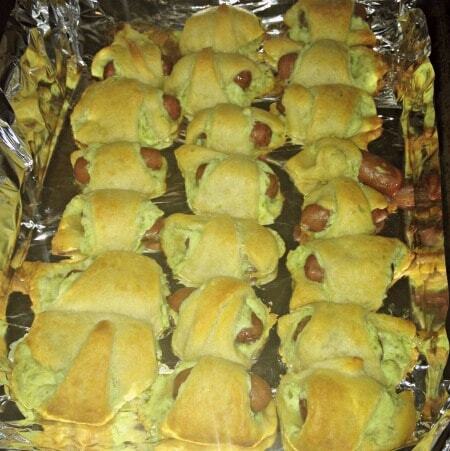 What are some of your go-to party food recipes? Have you tried any of these dishes before? What are you doing for Valentine’s Day? How often do you and your friends get together and cook?